Cowboys, prospectors, mountain men and outlaws. The stories of the men who shaped the west are legendary. Less known are the stories of frontier women. No less brave or industrious, the Women of the West left their mark. Ellis Reynolds was born January 20, 1847 in Iowa where her family joined the LDS church. They emigrated to Utah and settled in Battle Creek, now Pleasant Grove, in Utah County. Even at an early age she desired an education. At 18, upon Brigham Young’s invitation, she moved into the Lion House to “be as one of his own children.” She lived and studied there for about eight months until marrying Bard Shipp in 1866. Together, they would have 10 children, five of whom survived to adulthood. Brigham Young began sending people east to study medicine with the idea that they would return and practice medicine to benefit the people. Ellis’ sister wife was sent to Philadelphia to study at the Women’s Medical College. When she became homesick and returned to Utah, Ellis was given permission to take her place. Starting late, she quickly caught up and excelled in her classes. She graduated in 1878 as a physician. She specialized in obstetrics and women’s health. She started a school to train nurses and midwives. The school traveled throughout the region, offering three-month classes all across the West and in Mormon colonies in Mexico. Ellis practiced medicine for more than 60 years. During her time as a physician, she delivered more than 5,000 babies and trained 500 women to be midwives. 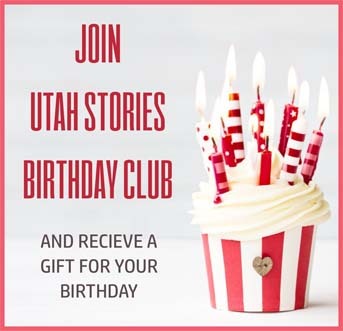 She also found time to serve on the general board of the LDS Relief Society, was a delegate to the National Council of Women, president of the Utah’s Women’s Press Club, and a poet. She died in 1939 and was elected to the Utah Hall of Fame. Ann/Etta met Butch and Sundance while working a ranch near the Green River at Brown’s Park. The region, with its wild landscape, was a hideout spot for the Wild Bunch. Further evidence that Etta Place was Ann Bassett comes from remarkably similar descriptions of both women by the Pinkerton National Detective Agency. Both were described as beautiful, intelligent, good horse handlers and “loose” ladies. Cementing the likelihood was the fact that when Ann disappeared from Brown’s Park, Etta turned up with Butch Cassidy and The Sundance Kid. Traveling with the two men and their gang, she experienced an outlaw’s life, eventually traveling to South America with Butch and Sundance. 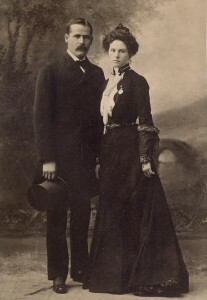 Perhaps tiring of a life on the run she returned to Utah and married cowboy and prospector Frank Willis. They settled in Leeds, where she died in 1956. 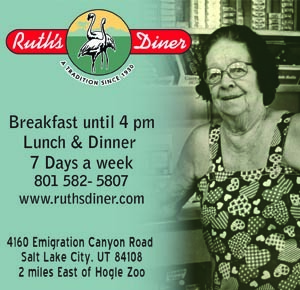 Sarah Daft was one of Utah’s early successful business women. She was considered brilliant, and successfully managed and ran several companies after her husband’s death in 1881. Her specialities were real estate and investing. Among other holdings, she owned a four-story building at 128 South Main. In 1856, when she was 28, she and her husband arrived in Salt Lake City. They invested in the Independent Telephone Company, mining and real estate. Sarah was well respected by the business community, and was known for her charitable works. After her death in 1906, the funds to start this home sat in the bank while one of the will’s trustees refused to release the funds. After a court battle, and with the help of community activist Jennie Anderson Froiseth and her women’s group, the first Sarah Daft Home opened in 1912 on Third Avenue. In 1914 it moved to its permanent location on 1300 East. Sarah wanted a place, “where lonesome old people can go to live out their lives without worry where the next meal is coming from.” Residents were charged a one-time fee of $800 for perpetual lifetime care that included meals, medical care, clothing and even burial. The Sarah Daft Home continues today as one of the oldest nonprofit, continuously operated assisted living facilities in the western United States. Sarah not only left a legacy for Utah’s business women, she left a legacy of hope and care. Sister to Ann Bassett in both blood and temperament, Josie Bassett also grew up in Brown’s Park. She and her four siblings had time to explore and play in the wilderness surrounding their home after completing household and ranch chores. The family welcomed many guests to their home, including local outlaws and bandits. Josie learned hard work as well as a spirit of hospitality and generosity. In an era when people who got married stayed married, Josie married five times and divorced four husbands. She was known for her strong will and charm as well as independence. Living a rugged life, working alongside the cowhands, she learned to be tough and still retain feminine qualities that attracted people to her. 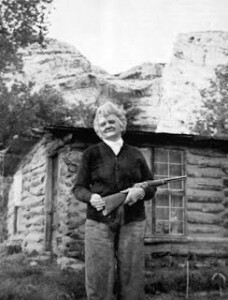 Josie homesteaded in Cub Creek, located within the Utah section of what is now the Dinosaur National Monument, where she built her own cabin and lived for over 50 years. During Prohibition she brewed her own apricot brandy and chokecherry wine. She tired of wearing skirts and switched to pants. She was tried and acquitted of cattle rustling in her 60s. In December of 1963, Josie broke her hip while at home in her cabin. She died the following May of complications.